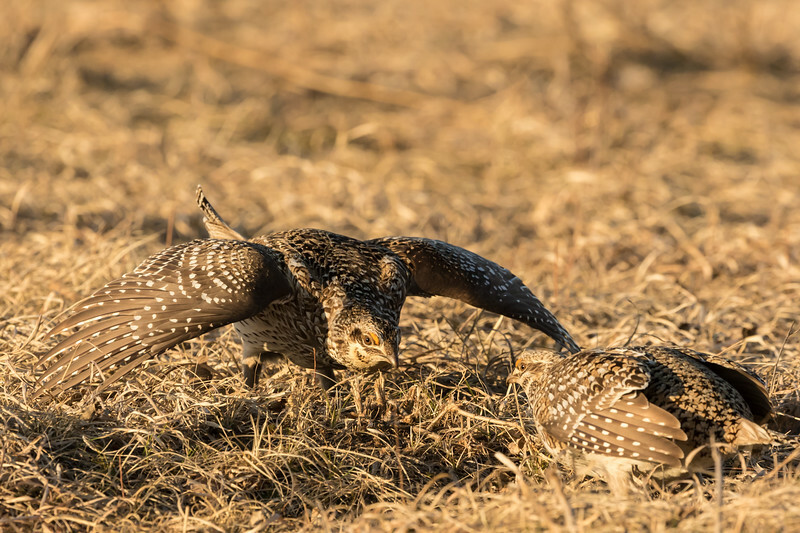 Sharp-tailed Grouse Mating display at Namekagon Barrens Wildlife area. 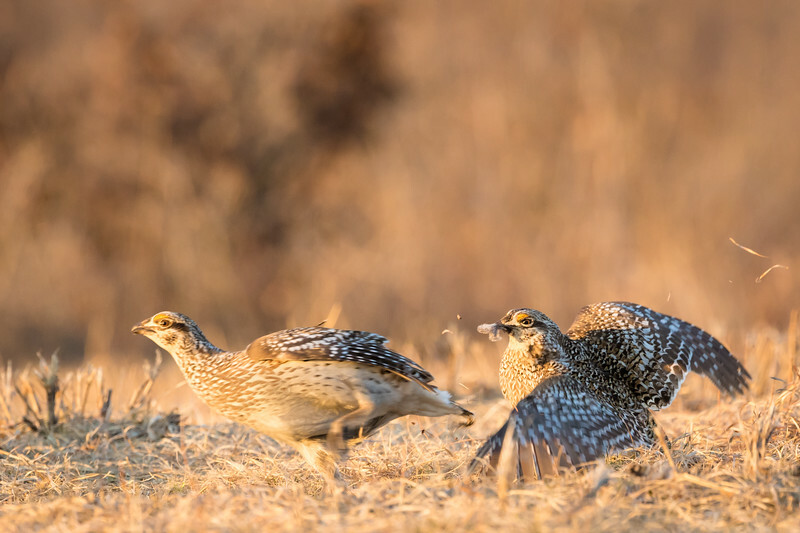 The Sharp-tailed Grouse have a ritual every Spring that attracts the females to a LEK. The females choose who they want to mate with. This dance can be seen in the morning and evening. 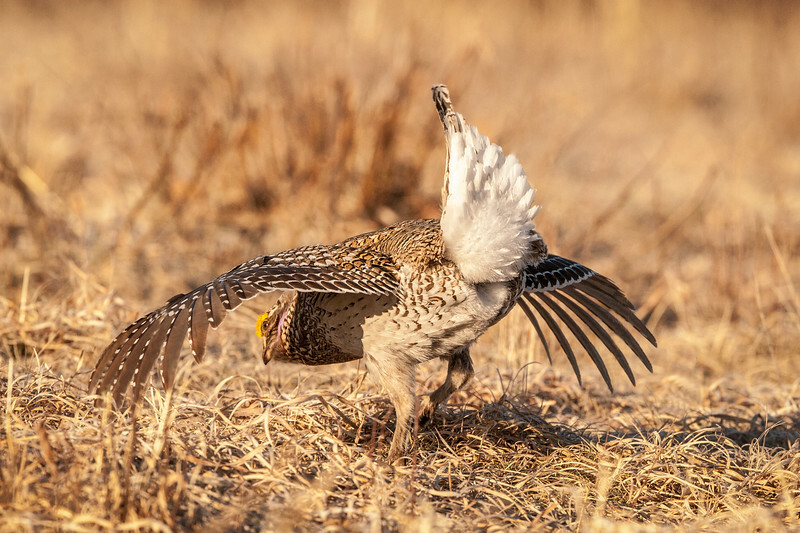 The male Sharp-tailed Grouse fill the air sac and dance to attract females to the Lek. 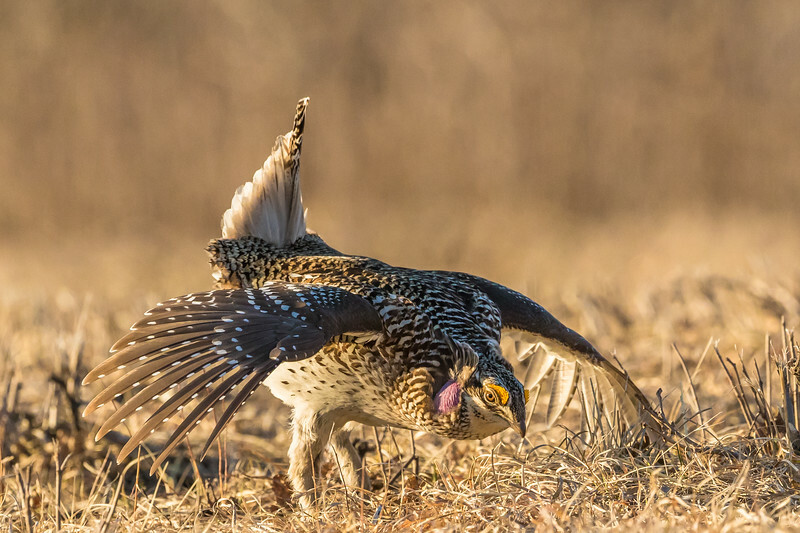 This series of images were made in Wisconsin at the Namekagon Barrens Wildlife area. 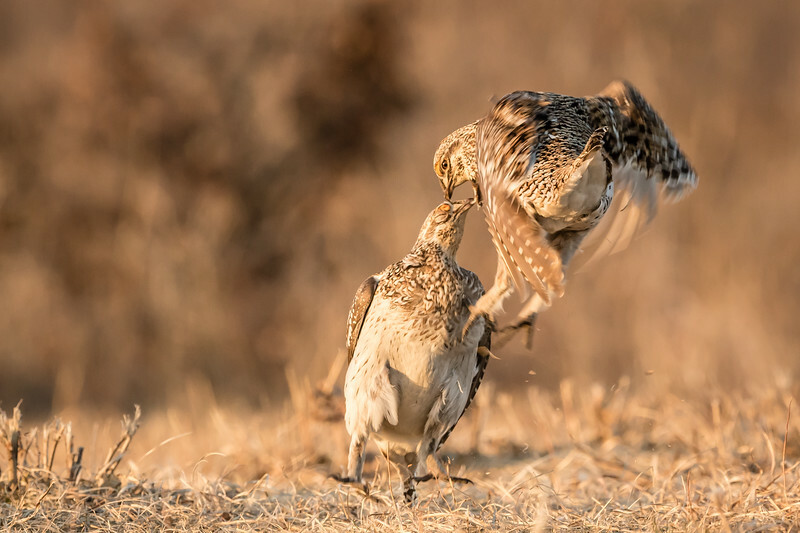 Male Sharp-tailed Grouse will use their beaks to attack another male. Male Sharp-tails will fight for the attentions of the females. 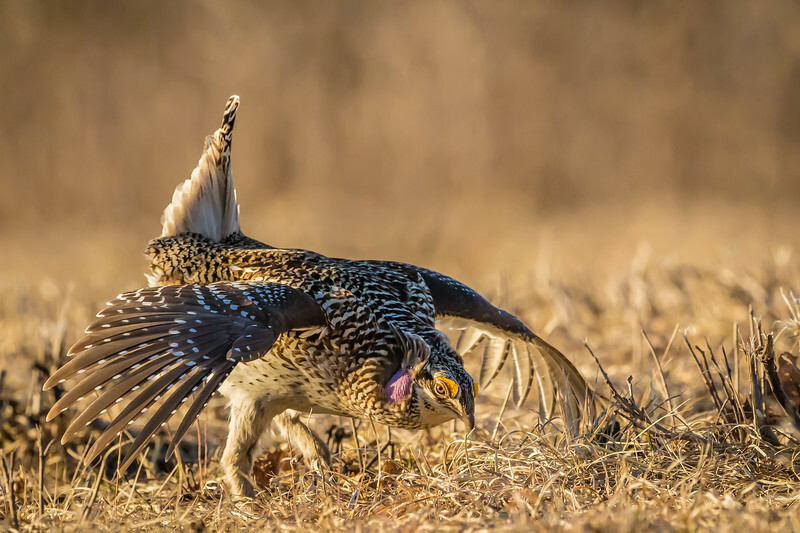 They use their wings, beaks and claws to attack each other. 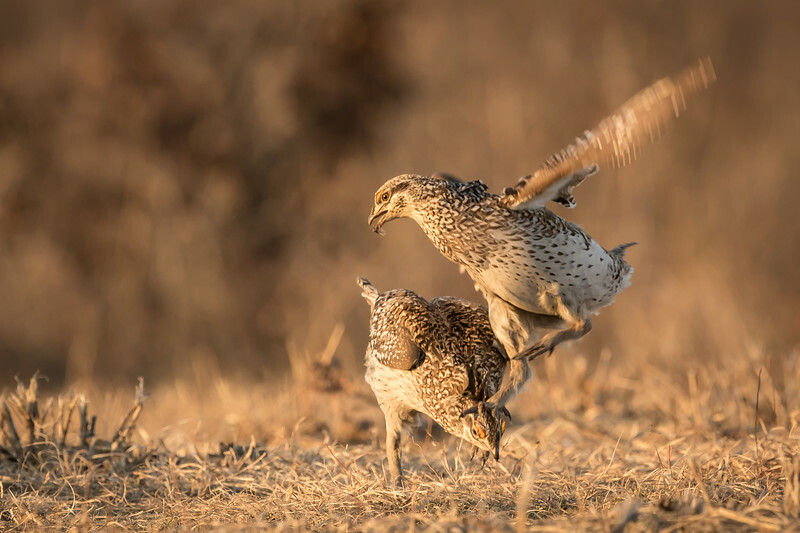 Sharp-tailed Grouse use their feet to attack another male. 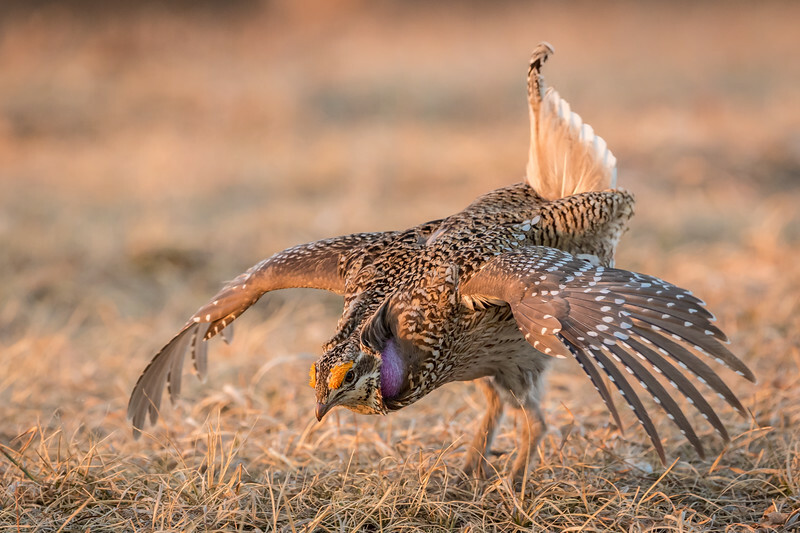 Using his beak, the Sharp-tailed Grouse defends his territory. 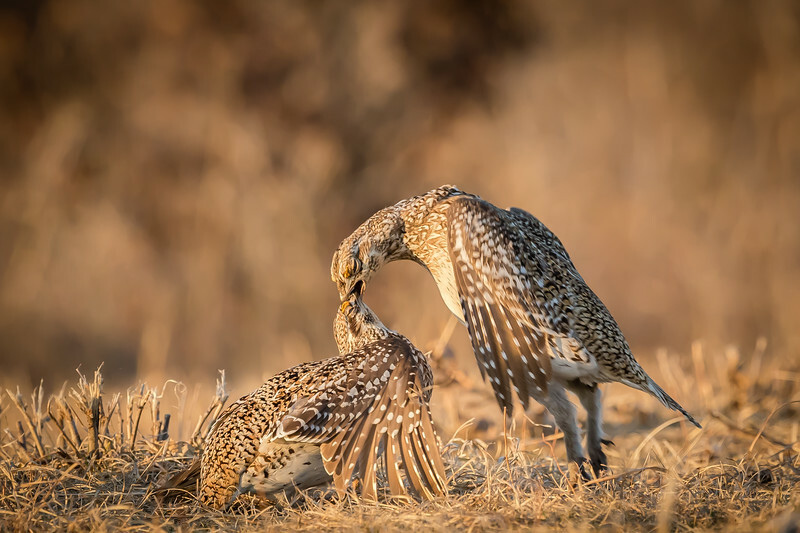 During their courtship dances, the male advertise the location of the display grounds by cackling and "flutter-jumping". He jumps into the air and flies a few feet forward. The aggressive displays may include several postures and squealing sounds, whining, and gobbling sounds. 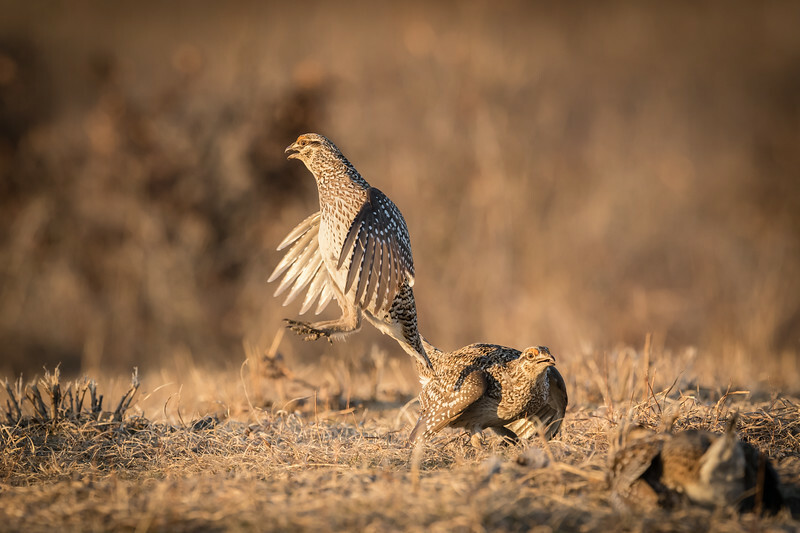 The male Sharp-tailed Grouse use several courtship displays. The most complex is the "tail-rattling" or "dancing" display. 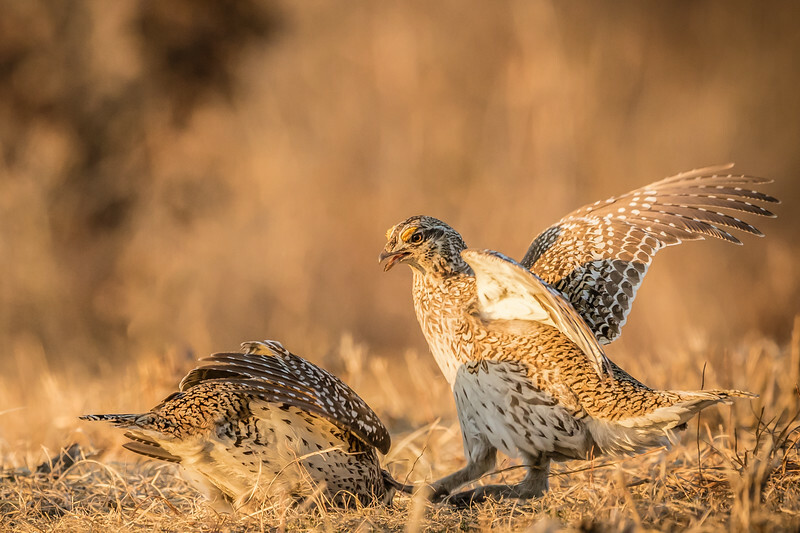 Sharp-tailed Grouse defend their territory with their feet, wings and beaks. 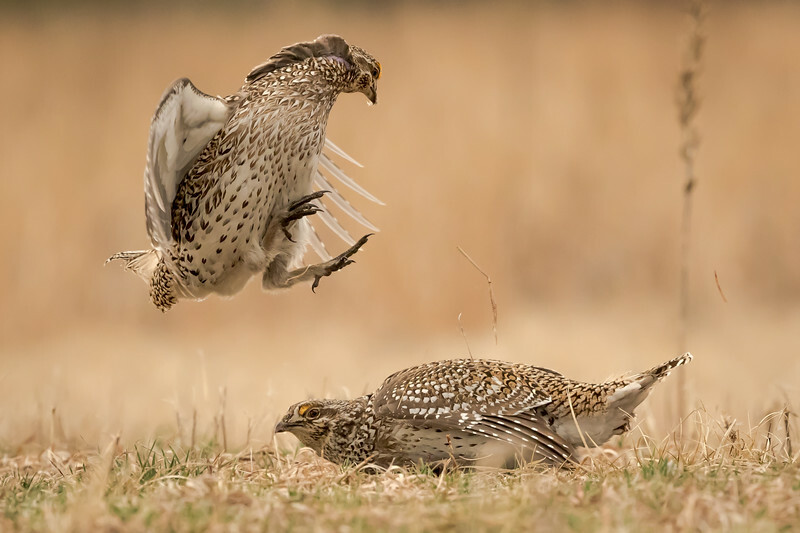 The male Sharp-tailed Grouse will attack another male to defend his territory. 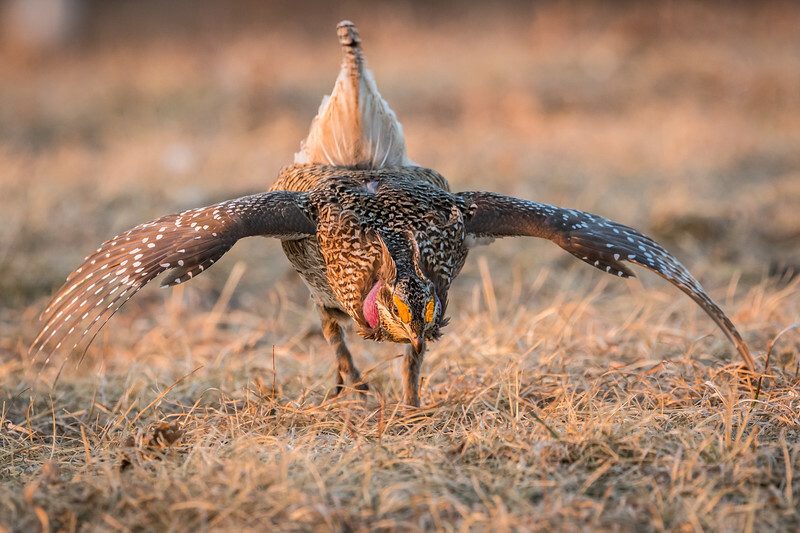 Sharp-tailed Grouse dance on the lek to attract the females in the early Spring.